If you expect strung up kids or morally offensive installations, you have got it completely wrong. 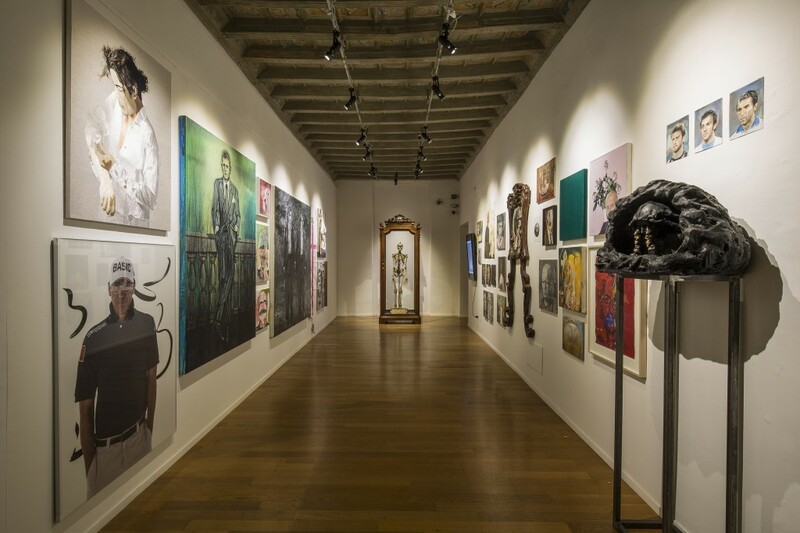 In the exhibition curated by di Maurizio Cattelan, Myriam Ben Salah and Marta Papin there is nothing outrageous or intentionally provocative. You will find, instead, an exhibition that rests on solid scientific foundations, full of suggestions and references from Turin’s past and present. The project takes the cue from the show One Torino, conceived in parallel with the past edition of Artissima. However, if last year was a plan of an open air museum with works scattered around town, this year the curatorial staff lined up in reverse order: the objects and works from some of Turin’s museums and collection were moved into a unique location. More precisely, Palazzo Cavour, in the historical centre of Turin. In this exhibition we also find site specific works and pieces exhibited before but re-interpreted for this occasion. A celebration of death as regeneration and starting point of artistic creation. A place where a pre-death anamnesis occurs through the images and the chain of mnemonic associations. In this Theatre of Memory, the idea of existence is blotted out and we go back to our hidden fear, either as an anguish feeling or as an origin of myths and legends. The fil rouge is therefore the antinominic link between existence and loss, construction and destruction, conflict and appeasement. Exactly from this conflict the first installation that we see, is born. Made of 400.000 (real!) 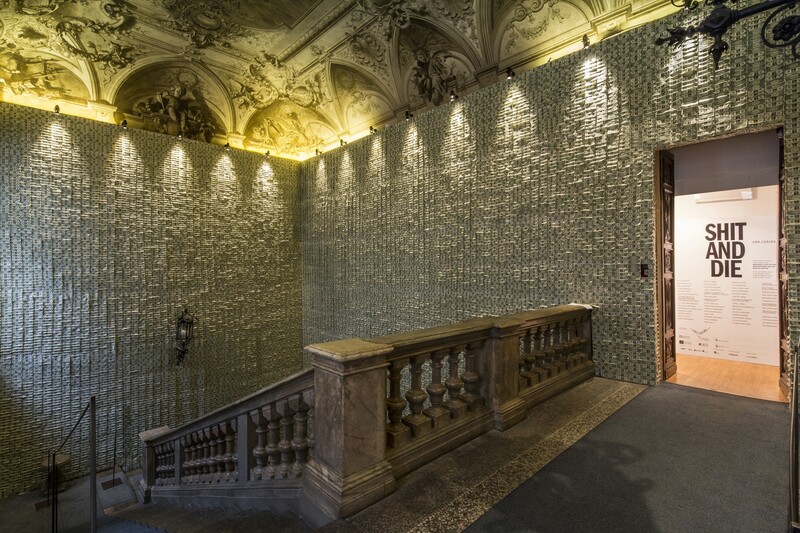 dollars in banknotes, wallpapering the staircase and the entrance hall, up to the doorway. The Hug by Eric Doeringer has its origin from a controversy he had with the artist Hans Peter Feldmann: the former would have plagiarized the work of the latter, having Feldmann covered a Guggenheim room with the banknotes given as award for the Hugo Boss prize in 2011. The section Fetish is dedicated to the Countess of Castiglioni (1887-1899), the well-known Mata Hari ante litteram, who was the lover of many political personalities of her time. Her incapability to accept the inevitable decay of her outstanding physical beauty made her victim of an existence as predeceased. In this room, everything, the Countess’s portrait included, is covered with a transparent plastic sheet. 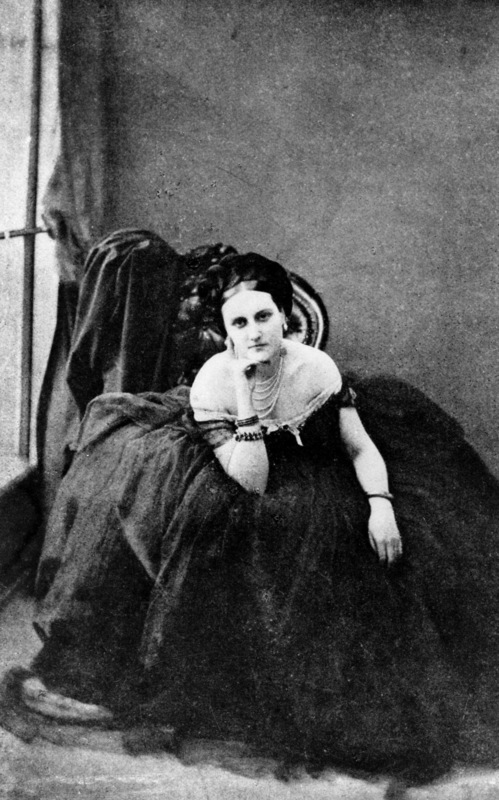 La contessa di Castiglione (Virginia Verasis Oldoini 1837-1899) 1880 ca. In the section “In event of Moon Disaster”, the skeleton of Professor Giacomini, eminent anatomist form Turin, seems to recall portraits of known people from yesterday and today, commissioned to various artists, including Carlo Vezzoli, Lara Favaretto and Enzo Cucchi. Sooner or later all comes to an end, and power and vanity are as fleeting as life. What remains is their stories. Whether we like it or not. There is also a tribute to Aldo Mondino, the ironic and eclectic artist from Turin. Lover of orientalism, Mondino has an entire section dedicated to him. 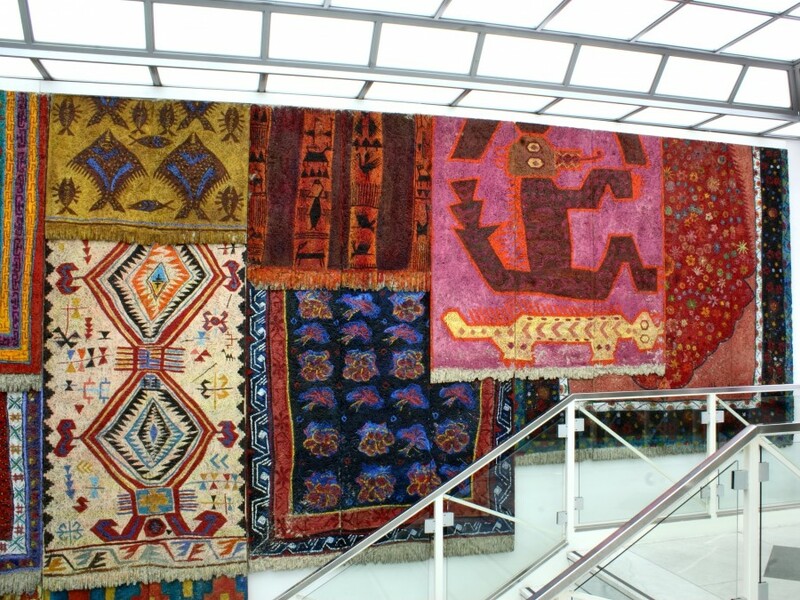 His Carpets made of eraclite take up most of the wall and revoke mystical orientalism, a topic that now has become current. The last work is a reiteration of the concept of transience of life: the French artistic duo made up of Florian Pugnaire and David Raffini, exhibit a car victim of a road accident that never ends to manifest its effects: a lead mechanical arm squeezes the car a centimetre a day through an hydraulic pump system. There is not a title yet, maybe it will come at the end process. Beside there is the Work n. 112, Thirty nine metronomes beating time, one at every speed, by Martin Creed (1995),which intensifies the feeling of unavoidability of the passage of time.